High Swinside Holiday Cottages sleep 2+, 9, or 5 people, and have an idyllic hillside setting above the Lorton valley within walking distance of High Lorton village. 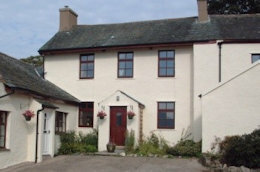 From the cottages, the garden, and the hot tubs there are superb panoramic views - from Melbreak overlooking Crummock Water through 180 degrees to the distant Scottish Mountains. The Vale of Lorton is surely one of Lakeland’s hidden gems, so serene and peaceful, yet only 8 miles from Keswick or 6 miles from Cockermouth. The walking here is wide ranging with 3 beautiful lakes to choose from, challenging high peaks on the doorstep, and everything in between! Whinlatter Forest Park offers extensive trails close by for all levels of mountain bikers, while the thriving Village Shop in Lorton and the excellent dog-friendly Wheatsheaf pub are 20-30 minutes walk away. 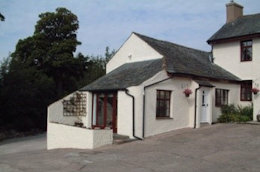 High Swinside’s three self-catering cottages are well-equipped, comfortable, and have a charm all their own. Enjoy the view from a bench in the garden, or relax by an open fire after a frosty winter’s walk - you’ll get a warm welcome whenever you come to stay! 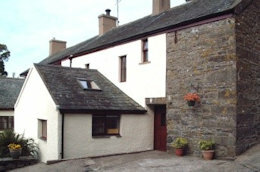 The double bedroom, kitchen, bathroom, and sitting room in this delightful cottage are all upstairs. Downstairs has a sunny room giving onto its own patio with wonderful views down the Lorton valley (+ a sofabed in case needed for children). The Farmhouse at High Swinside is a lovely rambling building with many original features as well as modern creature comforts. It sleeps 9 in its four bedrooms. Alternatively it can be linked to Little Swinside to sleep 11 overall (via lockable connecting door).